This kit is for anyone who wants to help spread the word about the risks, signs, and symptoms of lung cancer. 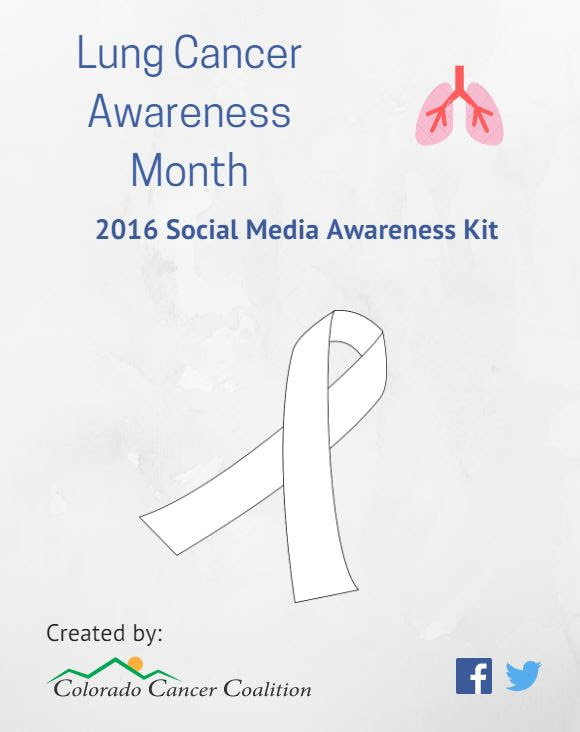 It was created for health care providers, nonprofits, survivors, and patient advocates to help them amplify their social media reach during Lung Cancer Awareness month. You'll find suggested social media messaging that you can post as is or alter to fit your intended audience. Visit the Colorado Cancer Plan for goals, objectives and strategies on how to reduce incidences and deaths from lung cancer in your community.